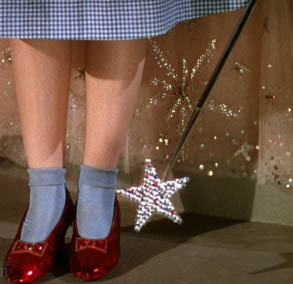 The best way to watch 1939 gem The Wizard Of Oz, as many of you are doubtless aware, has nothing whatsoever to do with the film’s director, Victor Fleming. The original is a perfectly great film, a superlative piece of vintage movie magic that hits all the right chords in one delicious yellowbrick strum. And yet, classic and immaculate as the film is, it surreally transcends the cinematic experience when watched on mute, with Pink Floyd’s The Dark Side Of The Moon providing the audio. When sync’d just right, the art rock masterpiece occasionally resonates so jawdroppingly with the film’s visuals — that iconic Money cash register cha-chings as soon as Dorothy opens the door, for example, stepping from sepiatoned Kansas into technicolor Oz — that it feels like those architects of psychedelia consciously constructed the album around the film. That, of course, is merely shroom-fueled romanticism, with absolutely no basis in fact. Not that there’s anything at all wrong with that. How far could our legends possibly soar without their apocryphal capes? And while I’d love to go on about how uncannily the “Black…” exclamation from Us & Them lines up alongside the visual of the Wicked Witch Of The West turning to face our naive heroine, (and do throw a “Whoa, dude” into my imagined voice in your head) the fact remains that this wonderful marriage of movie and music owes lesser to the creators of either work than it does to some ambitious dorm-room twist of fate, where some young feller decided to try and combine two different kinds of genius together and see what happens. In an alchemical explosion — the sort seen when a precursor of this lad slathered jam onto bread after exhausting the last of his peanut butter on slice one — the universe nodded its approval and something stellar came, coincidentally, to be. Coincidences like that, it may cogently be argued, are in themselves proof that the atheists are wrong. Speaking of Whom, no recent film believes in the almighty with quite the card-carrying, near-Missionary urgency of Terrence Malick’s latest, The Tree Of Life. It is a spectacular, humbling, overwhelming, emotionally naked film, more to be experienced than watched. It is a staggering work of art, one that works as prayer and parable, and yet, because it happens to be as catatonic as it is cathartic, works significantly lesser as a film. It must be admitted that it is, indeed, a bit of a drag. 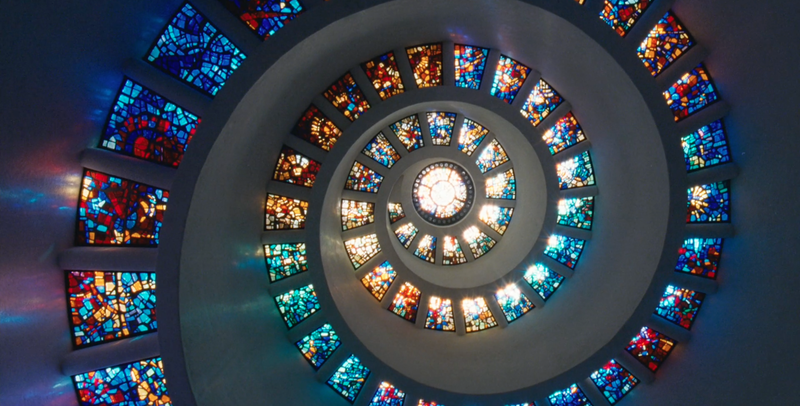 To speak with the National Geographic symbolism the film pours on indiscriminately and overzealously, The Tree Of Life is a cinematic black hole: so self-seriously heavy that it eventually collapses in unto itself. But what a lovely boom, huzzah. However, true believers, I believe I might have hit upon the solution of solutions, one that makes up in impact what it lacks in out-and-out originality. An answer so fiendishly simple, in fact, that it pretty much presents itself: Like the man who came up with The Dark Side Of The Rainbow, just add Waters. First name, Roger. Majestic pretension cancels out majestic pretension, or at least so we hope. The film opens with a quotation from the Book Of Job. 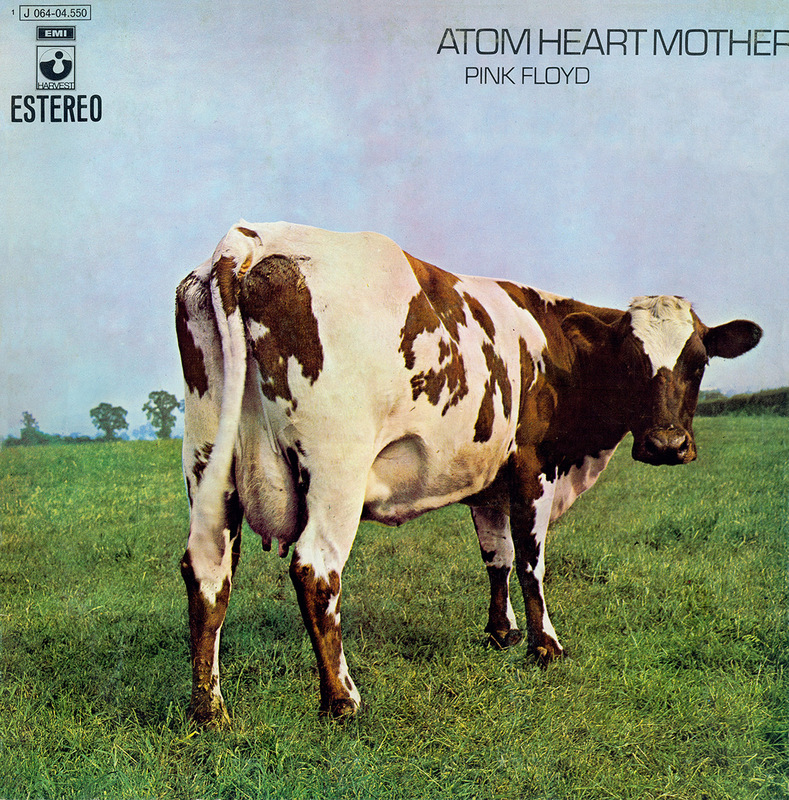 Immediately after this is when you mute the film’s audio, while clicking play to kickstart one of Floyd’s maddest, most ambitious albums, Atom Heart Mother. As we see fluid scenes of 50s Americana via a family sired by granite-chinned Brad Pitt, the 23-minute opening track jars violently, dashing us rockily against the gorgeous images. And what unbelievably apt names the 6 sections of the titular composition have: Father’s Shout, Breast Milky, Mother Fore, Funky Dung, Mind Your Throats Please and Remergence. After this comes that simplistically haunting song, If, which ought to work as a punch right between the eyes, pretty much at the moment when Malick starts to show the trippy beginnings of life itself, mesmeric cosmic burps, jellyfish and dinosaurs. Skip the next track, Summer 68, play David Gilmour’s 14-minute concert version of Fat Old Sun instead of the one on the studio album, and top it off with Alan’s Psychedelic Breakfast. There we go. Already your Tree Of Life experience has been a decidedly more visceral one than Malick provided. Know why? No ponderous voiceovers to go with those gobstopping visuals. No “Mother, make me good, brave”, no “How did she bear it?”, no “I will give him to you; I give you my son.” My lord, I cannot stress how much more Pink Floyd have already improved on the film by killing those preposterous voiceovers, and, since your munchies ought be kicking in this long into the film, let me tell you it just gets better. The second Floyd album for the film is Meddle, a cornucopia of aural imagery spread across bleak and beautiful soundscapes. Start with Echoes, the 23-minute masterpiece Kubrick rumouredly rejected for his 2001: A Space Odyssey, and play it twice, back to back. (Whoa.) Now the rest of the album, straight-up: One Of These Days, A Pillow Of Winds, Fearless, San Tropez, and Seamus. If there is a God and he wants us to get high on Malick, we’ll see the cluelessly contrite Sean Penn stumbling around exactly while Fearless plays, and blow our collective minds. Those of you who have watched The Tree Of Life and have liked it might find this obsessive piece of Floyd-geekery excessive, and it certainly is. I hadn’t heard the band in ages, but the film — its unerringly note-perfect craftsmanship; its undeniable artistry; its magnificent, dazzling, overbaked visuals; its layers and layers of liberally applied symbolism; its bluster; its occasional genius; its frequent sexlessness and its hubris — instantly made me crave and hunt them out. Those who haven’t might be curious about the film’s ‘story,’ about which all I can merely say is that it is more of a meditation. Like Wesley Morris wrote in the film’s finest review (one you should go look up if keen to know more about the film than the bits I’ve told you) “the movie is church via the planetarium.” And who better than Floyd to underscore such a killer sound and light show? Strange, you can’t express fully whether you loved or hated or could even formulate a particular emotional connection to the film so you find a substitute to try and find an analogous love which makes more sense to you and even there you aren’t quite clear. Which really captures how the film left pretty much its entire audience feeling so in a way you expressed it well. I think i’m gonna go on a Terrence Malick marathon and see if I can survive the experience…. It is difficult to get that dude, Malick. It has always been.